Researchers with the joint program between IRB Barcelona and the Barcelona Supercomputing Center (BSC) have devised a new strategy to study the shape of proteins. This study has been led by Modesto Orozco, head of the Molecular Modeling and Bioinformatics Group, and Xavier Salvatella, head of the Molecular Biophysics Group, both ICREA scientists at IRB Barcelona. According to Orozco, also senior professor of the University of Barcelona and director of the Life Sciences Department at BSC, “by combining computational modeling and experimental physicochemical techniques, we have revealed the structures of proteins, which, until now, were unachievable because of technical barriers”. The results are available from today in the electronic version of the prestigious journal Proceedings of the National Academy of Sciences (PNAS). Developed at IRB Barcelona, this project represents an advance in protein structure research. The first author, the Italian PhD student Michela Candotti, says, “knowing the shape that proteins have is essential to perform any analysis. A wire can be a paperclip, a staple or a spring, depending how it is folded”. This remark is especially relevant given the multi-functional nature of many proteins. Graphic showing the enrichment of urea around the protein, favoring its unfolding (urea appears as violet and water as orange). Credit: M Candotti, IRB Barcelona The study has several scientific implications, which can be summarized in the following three points. First of all, the researchers have described the chemical mechanisms by which compounds such as urea unfold proteins. “This was a debate that started in the 60s, and with this work it can now be considered closed”, explains Orozco. Furthermore, they have established a new strategy that will allow them to decipher the conformation of the Intrinsically Disordered Proteins (IDP). IDPs are a group of proteins without a rigid structure that comprise a large part of the proteome; however, little is known about them. “Our results will contribute to research into diseases that involve IDPs, such as cancer, Parkinson’s or Alzheimer”, asserts Salvatella. Finally, the scientists have identified the first steps in protein folding, another topic that is widely contended. More information: Candotti, M. et al. Towards an atomistic description of the urea-denatured state of proteins, Proceedings of the National Academy of Sciences (PNAS) (2013) online Early Edition the week of March 25. This entry was posted in Đại phân tử sinh học, Hóa dược, Hóa sinh học, Tin tức and tagged Biochemistry, hot, protein on March 27, 2013 by admin. 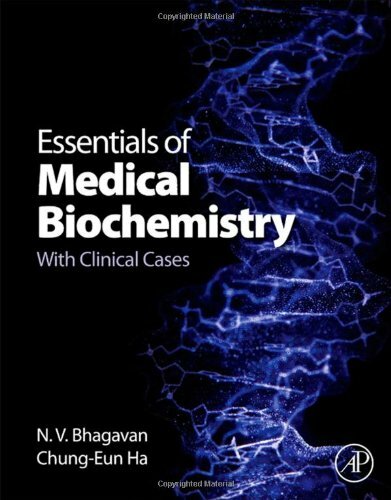 This entry was posted in Cơ sở, Gold ebook DSYS, Hóa sinh, Thư viện Ebook and tagged 2011, Biochemistry, Cases, Clinical, Essentials, gold, Medical on March 15, 2013 by admin.